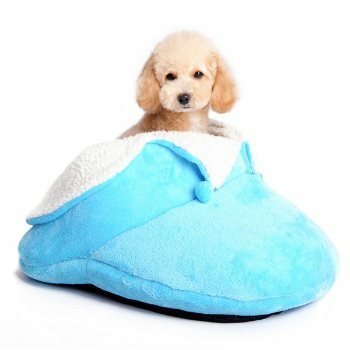 Super cute boy dog comfort bed. Instead of chewing your shoe maybe your dog will snuggle into plush, warm Dogo dog bed. Perfect bed to give your dog a sense of security all pups love. Made for a small dog or cat. Polyester.